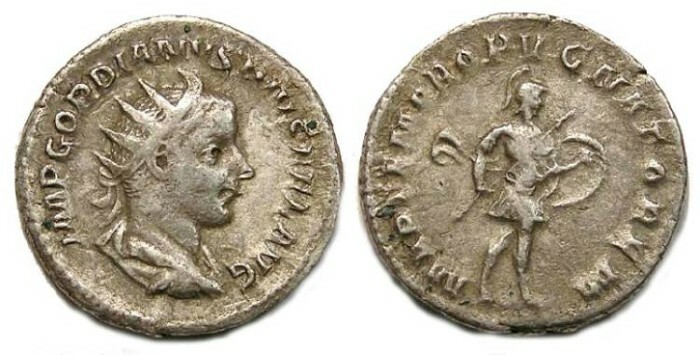 Denomination : Silver Antoninianus. Mint : Rome. Date : AD 243 to 244. Size : 21.0 x 21.4 mm. Weight : 4.63 grams. Reverse : Mars walking right, holding a spear and sheild in fighting pose, with MARTEM PROPVGNATOREM around.